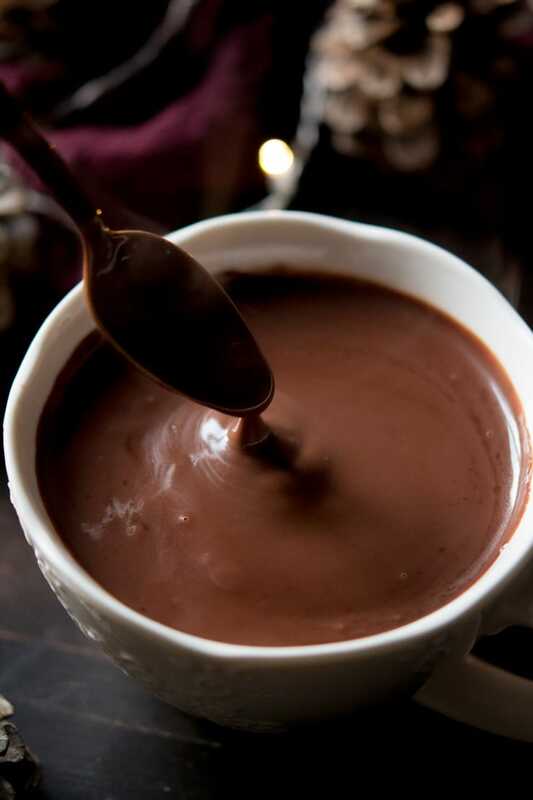 There’s no hot chocolate quite like Italian hot chocolate, it’s thick, smooth, creamy and so indulgent. If you’re looking for something chocolatey, hot and comforting to curl up on the couch with then this is the very thing for you! When I think of hot chocolate, I’m always reminded of that powdery stuff that comes in little sachets that smells great but is often watery, thin and disappointing. This Italian hot chocolate is so chocolatey, rich and indulgent, it’s so easy to make at home and it’s ready from start to finish in 5 minutes. There’s no excuse not to make your own hot chocolate from scratch and you definitely won’t be disappointed! 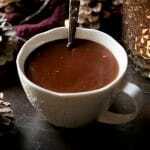 Thick, smooth and creamy Italian hot chocolate, a decadent and indulgent festive treat. I hardly ever leave comments..but this hot choc is AMAZING. 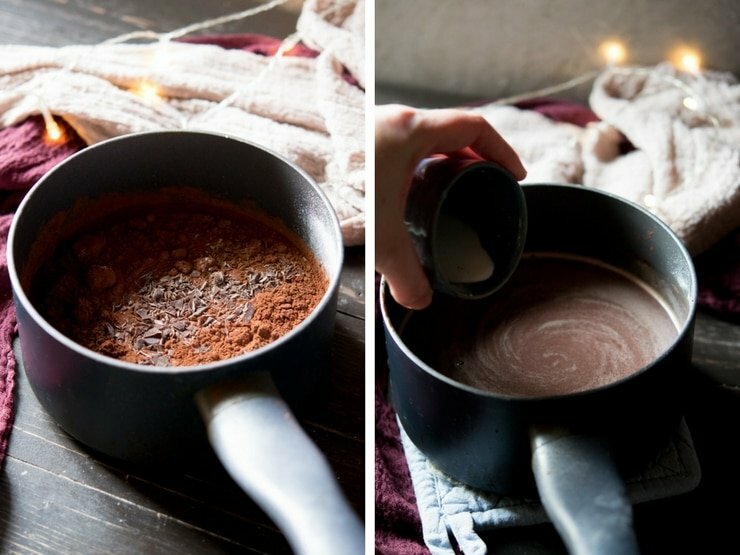 By far the best recipe I’ve tried for this style hot chocolate. Decadent, smooth, chocolately perfection. Hey Kelsey, thanks so much for your lovely comment. I’m so happy you enjoyed it it’s perfect at this time of year, Merry Christmas! This looks so creamy and rich I am going to have to try it and maybe dip a few biscuits in too! Thank you Angela, it’s so much better than any store-bought stuff! 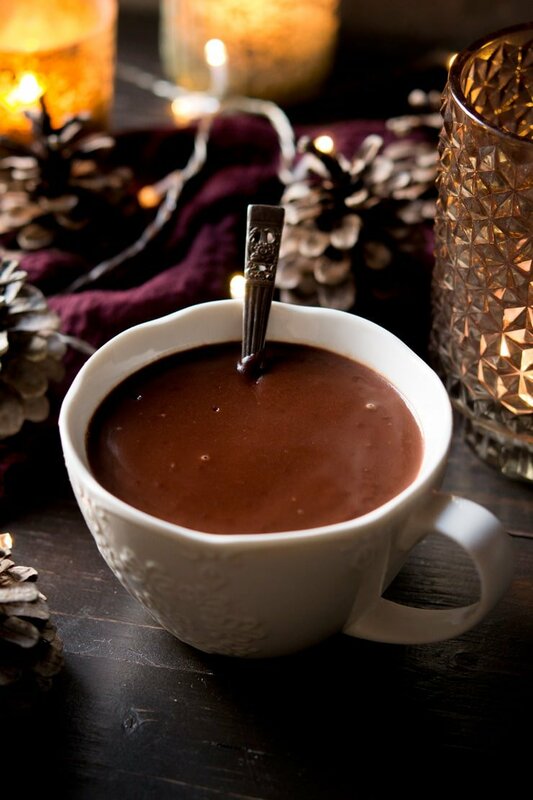 This Italian hot chocolate looks so decadent and delicious! I can see drinking this many times in my future! Awesome recipe! OMG this looks so divine. What a great way to warm up from the cold winter weather. Coming in from snow shoeing would be great to have this waiting to snuggle up to. Thanks so much Gloria, it’s perfect at this time of year! It looks so decadent! I need to try this recipe. Loving your photos too. Oh this looks absolutely perfect! Hot, rich, thick and creamy…I will definitely be making this during the next snow fall! It looks so creamy that I’m going to make it right now!!! Thanks for sharing this recipe! Oh my, this looks so warm and comforting! You just can’t beat a cup of hot chocolate whilst curled up on the sofa and indulgent Italian hot chocolate is just the best. Will definitely be giving this a try one night this week when the weather is a little cold to warm us up!